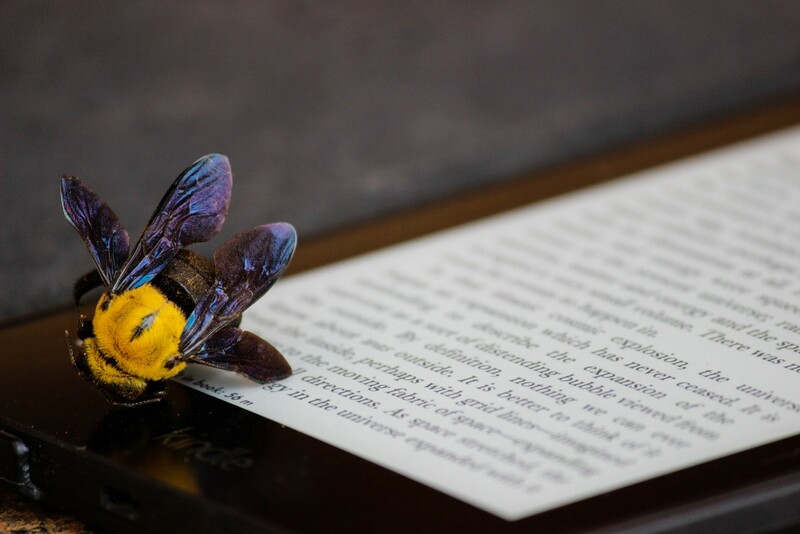 An exhausted honeybee fell on my tablet. In honour of World Honeybee Day on August 18, let’s imagine what a honeybee might say if it had the chance to chat with a human*. I went quickly to bring some water — mixed with honey — and poured a few drops into a spoon near the bee. But she continued, “Then, my colleagues and I have all these meetings and executive briefings with the queen to improve productivity. After that, we attend to the baby larvae, produce propolis for repairs to the hive, and tidy up the rooms to avoid contamination. Imagine all that — while foraging outside in the unknown!" “A very demanding job indeed!” I agreed. “Honeybees are great co-workers for people, producing fruits and vegetables. A third of all the food on the planet is dependent on bee pollination efforts!" “That’s great,” I replied. “I have also heard that you may have advanced mathematic skills, and some scientists describe your organized society as a superorganism." Suddenly, I felt something itchy on my leg. The honeybee looked anxious and said, “You seem distracted; I should go. I have so much work and a very long list of things to do.” She floated away slowly. My vision blurred and my skin continued to itch. I blinked, and found myself under the tree — with several mosquitos biting me. Had it all been a dream? (To be continued…) Check back on our website tomorrow for the rest of this story. *Disclaimer: The views and opinions expressed in this article are those of the author, they don’t reflect the official position of The Canada Agriculture and Food Museum, or bees in general. However, all scientific information used in this text is referenced from the resources listed below. ML Winston, The Biology of the Honey Bee (1991). TD Seeley, The Wisdom of the Hive: The Social Physiology of Honey Bee Colonies (2009). MA Aizen and LD Harder, "The Global Stock of Domesticated Honey Bees is Growing Slower than Agricultural Demand for Pollination," Current Biology (2009). TD Seeley, "The honey bee colony as a superorganism," American Scientist (1989).